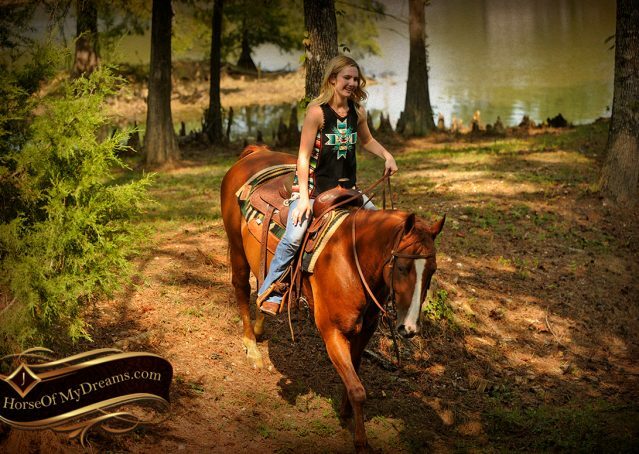 My Wild Side aka "Cruz"
Cruz is a perfect gentleman in every way. 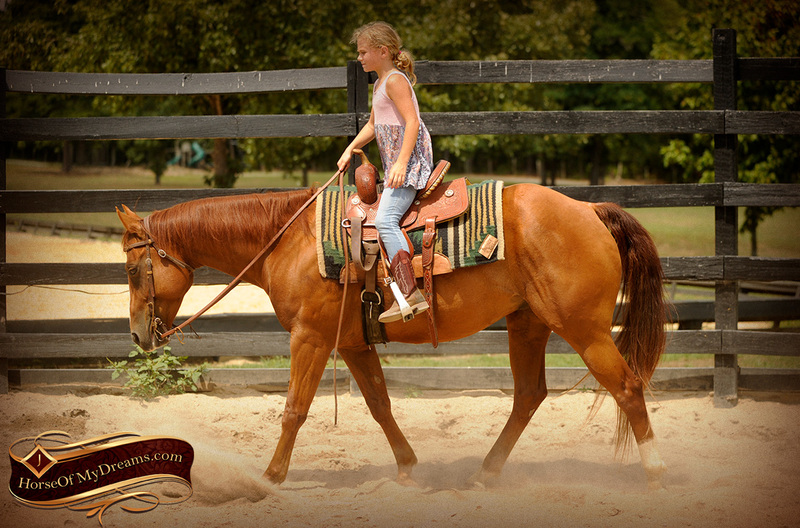 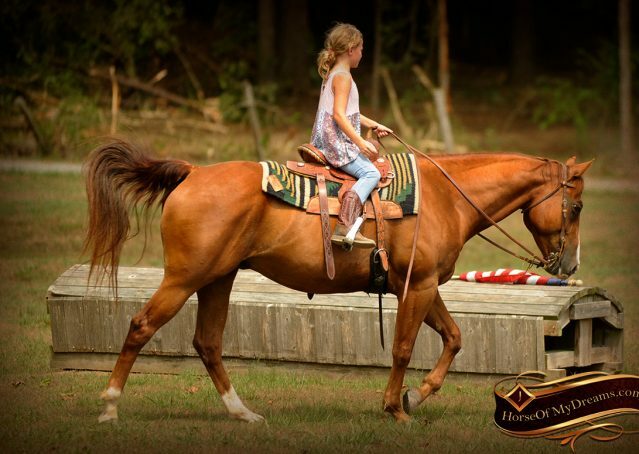 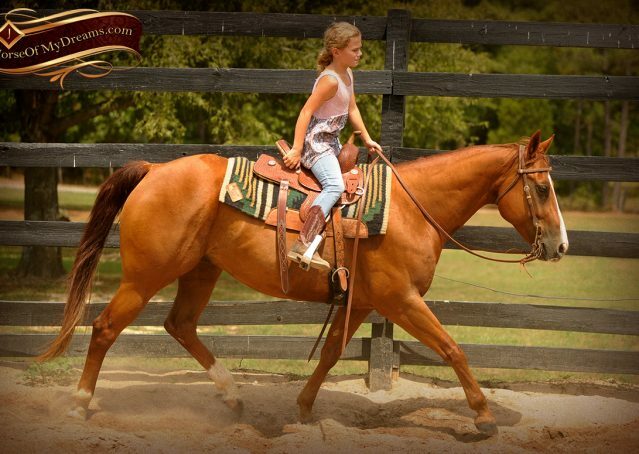 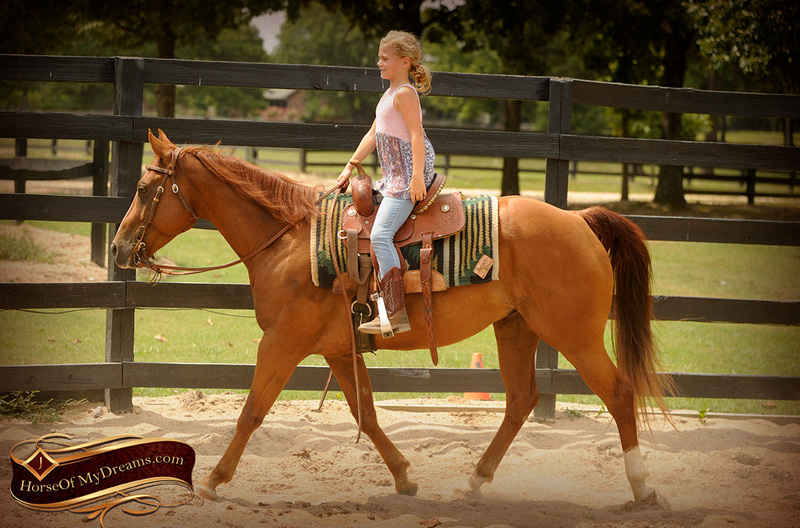 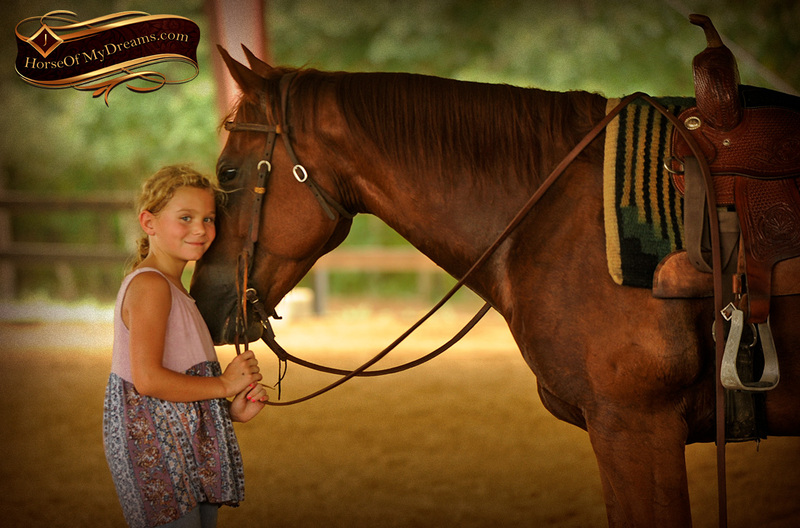 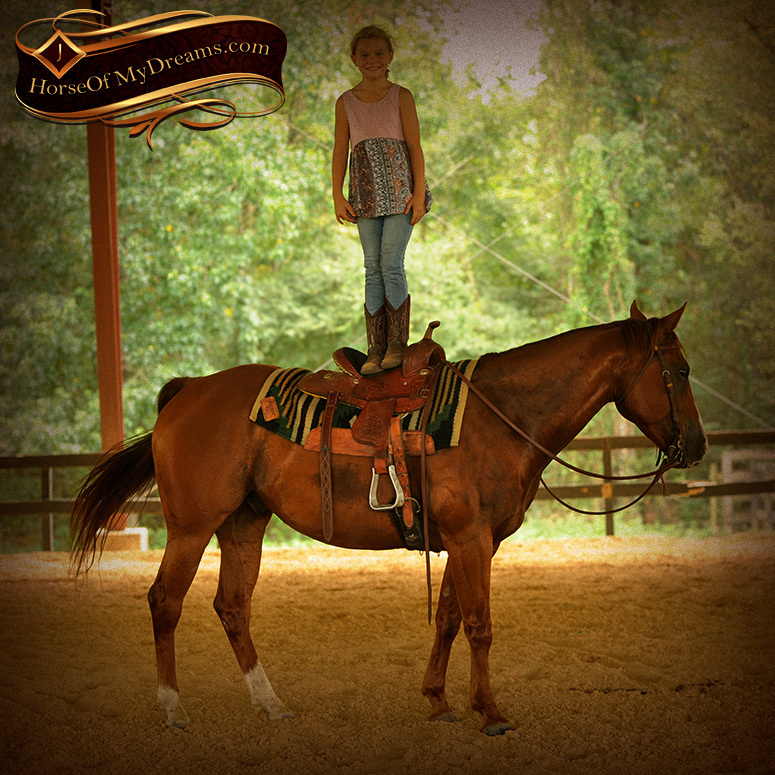 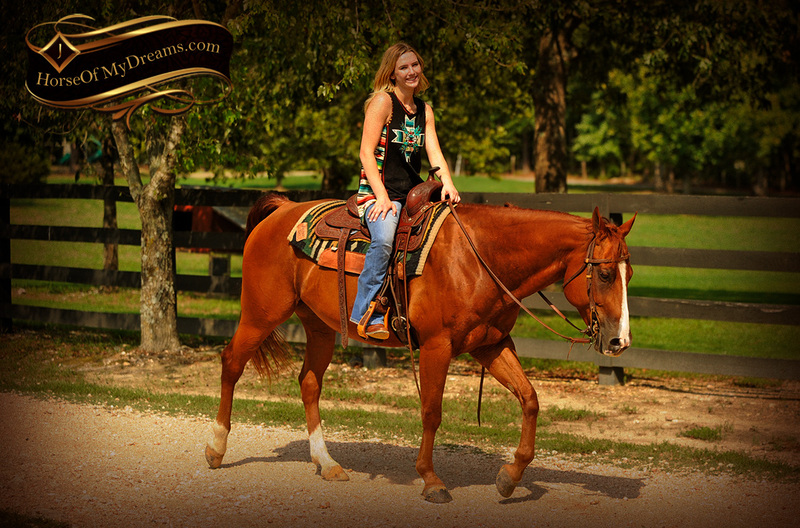 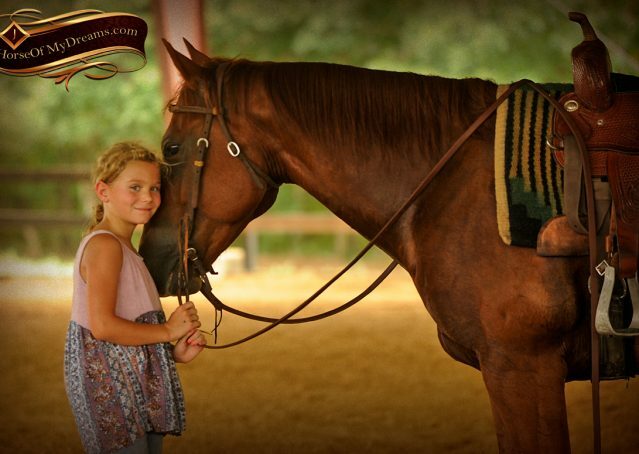 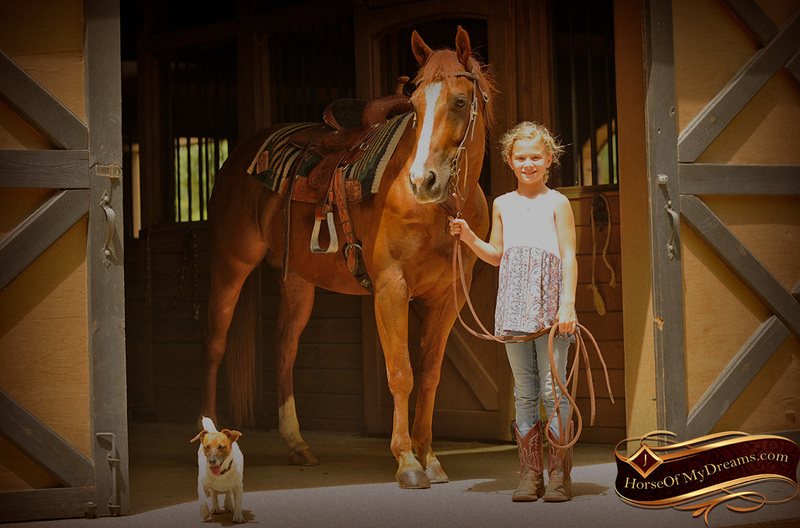 His butter soft mouth and instant response to the lightest neck rein allow for even a small beginner child to feel safe and secure while riding this magnificent horse. 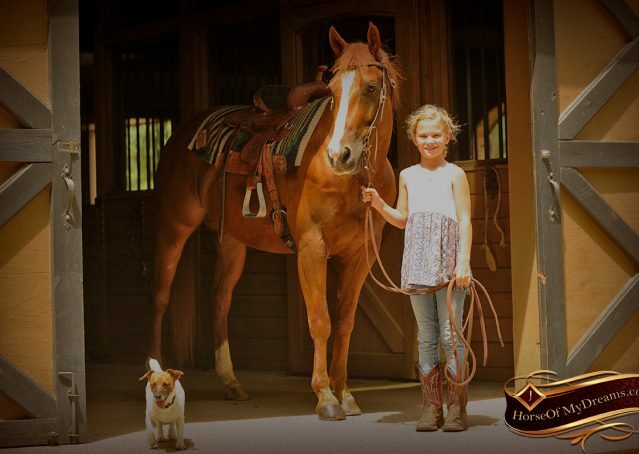 Cruz is royally bred with Smart Little Lena, Peptoboonsmal, and Dual Pep all on his papers! 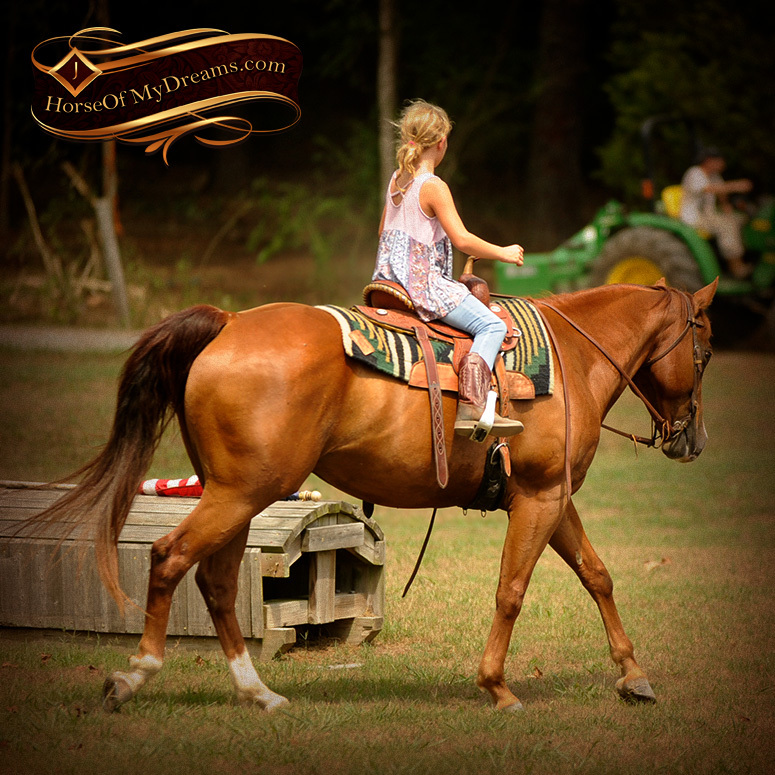 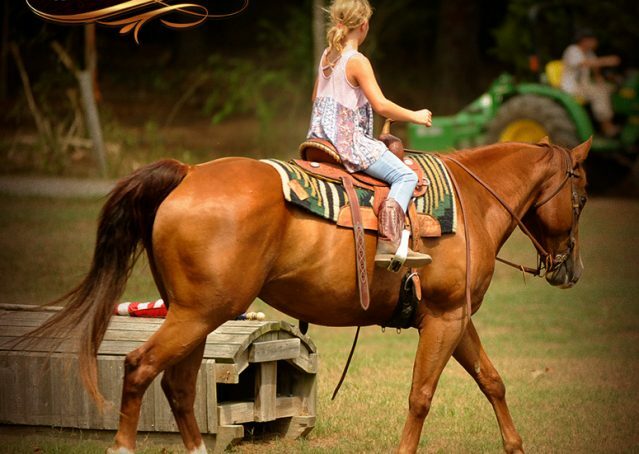 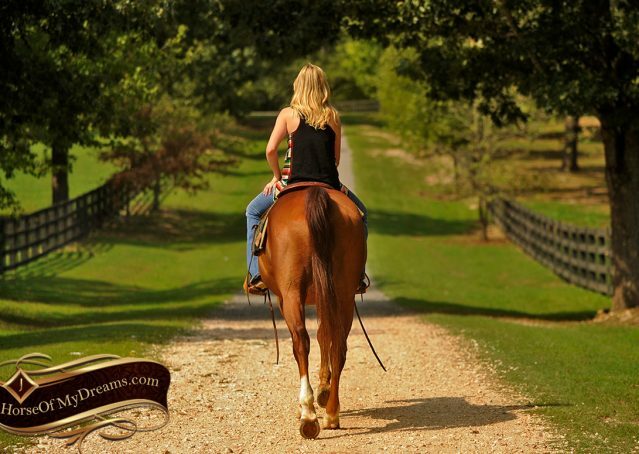 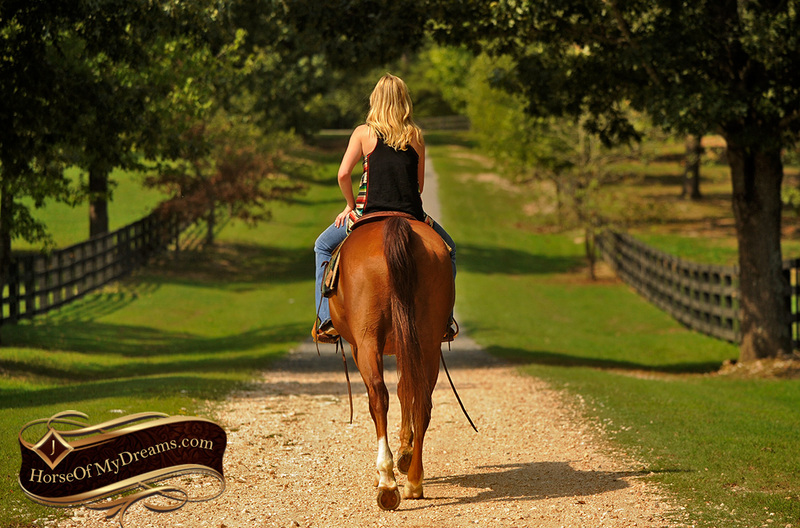 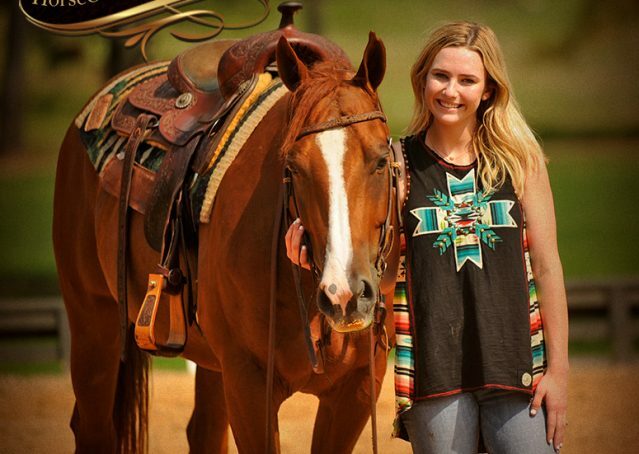 If he senses an older, more experienced child or an adult, he has plenty of “get-up-and-go”, yet when a beginner rider or small child is riding, he is slow and steady making sure to take exceptional care of his person. 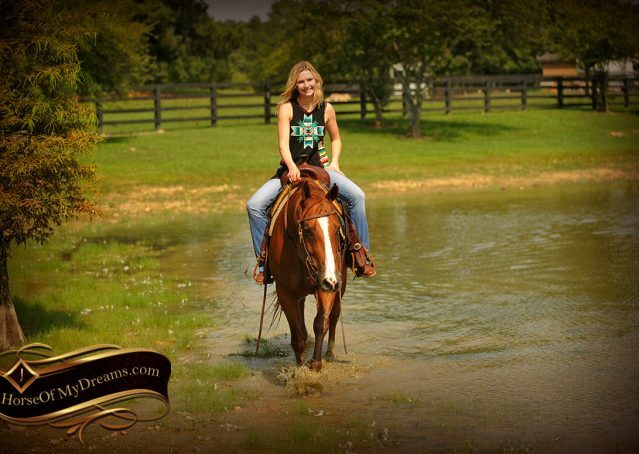 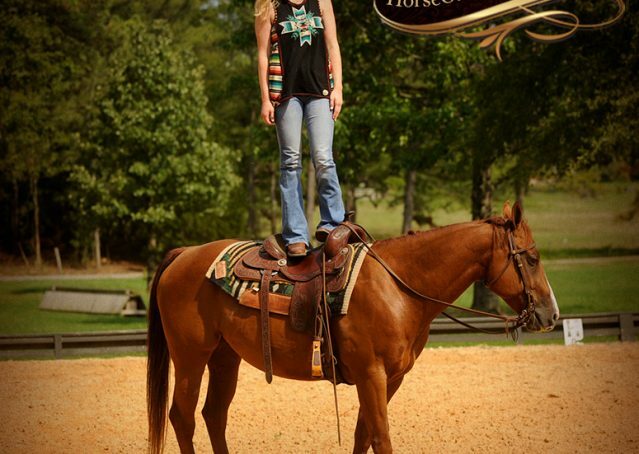 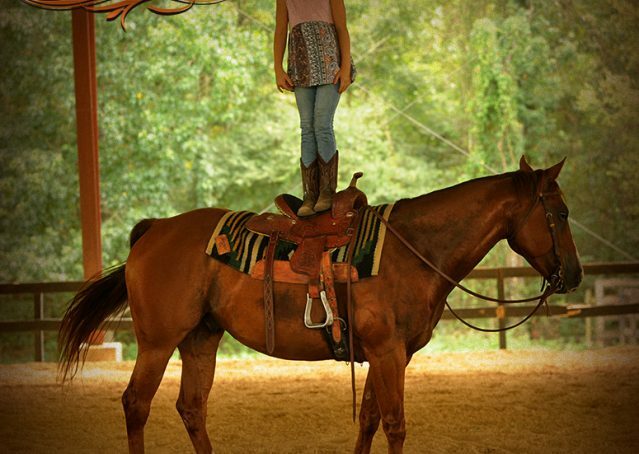 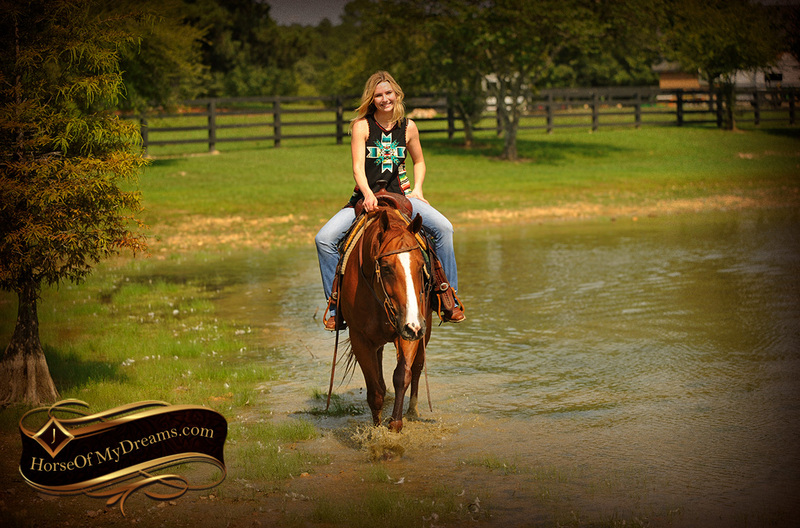 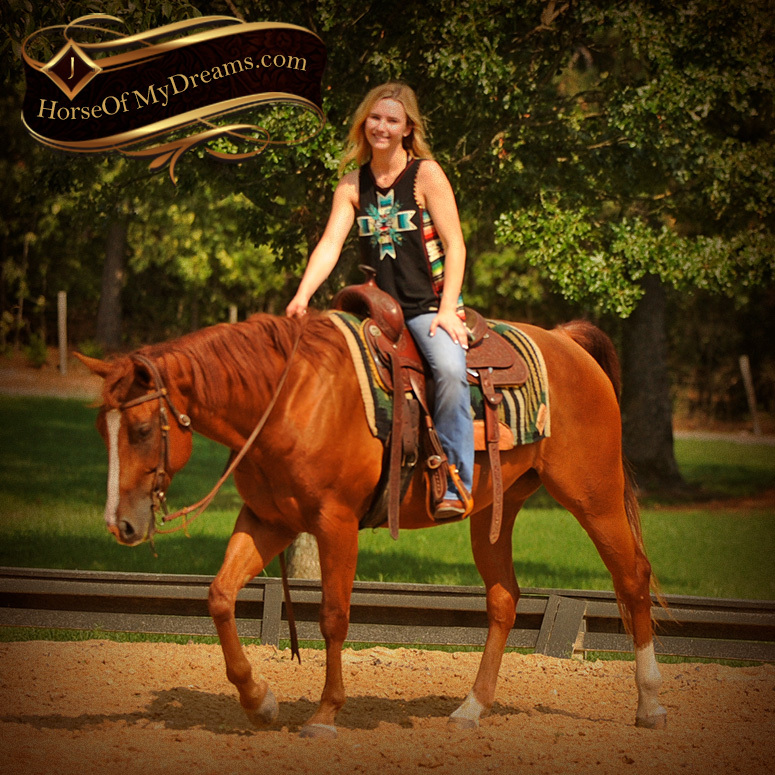 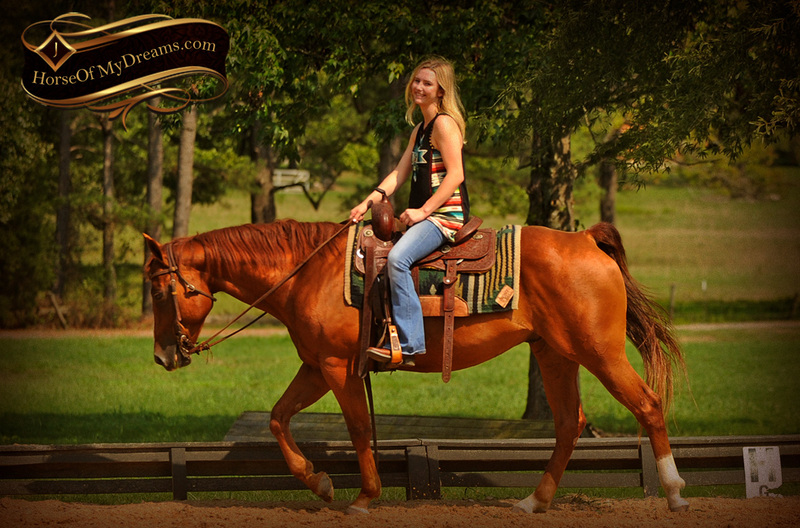 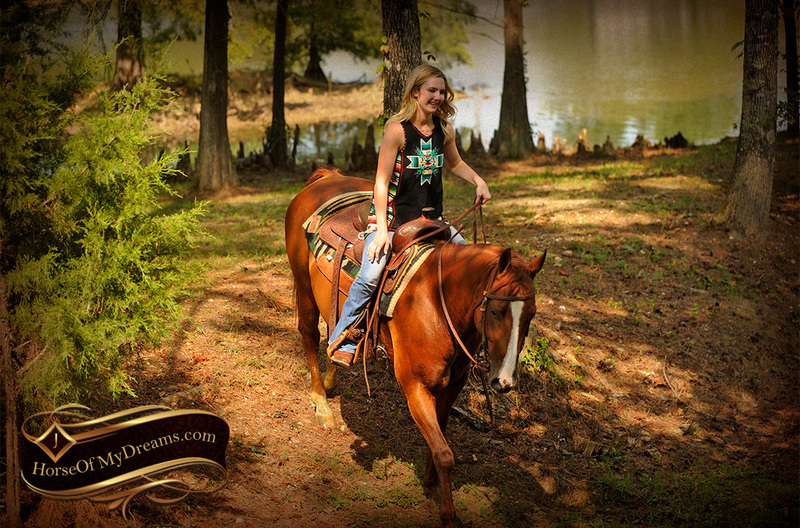 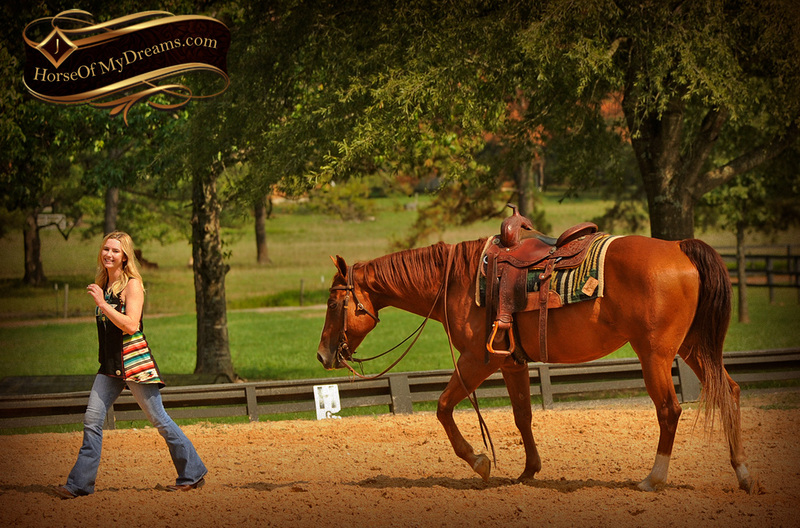 He would make an excellent Ranch Riding prospect, he really shines in the arena. 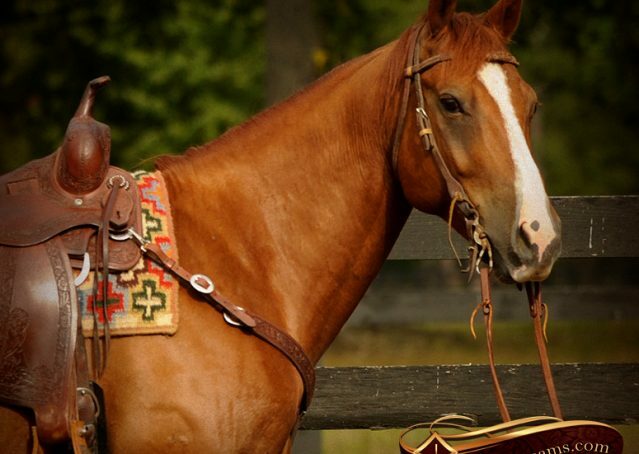 He has been used sorting and cutting cattle too. 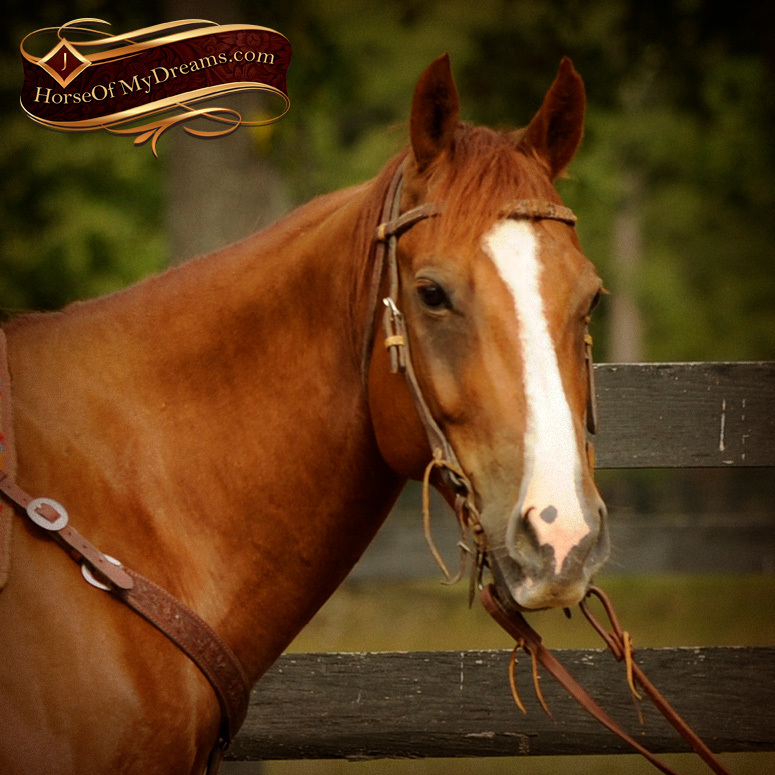 He is a pleasure in every way and calm and quiet around other horses and perfectly mannered for loading, bathing and anything you could ask of him. 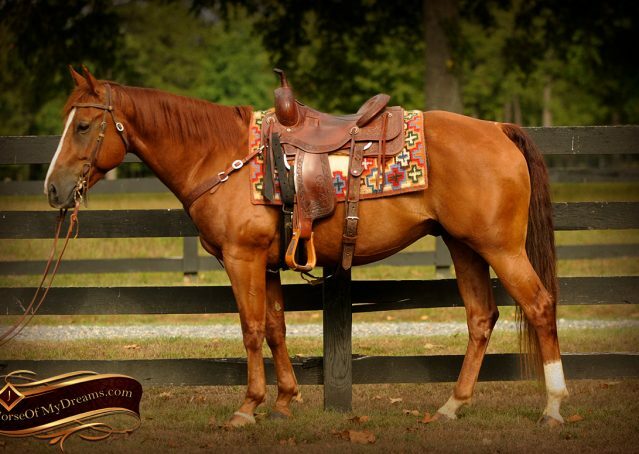 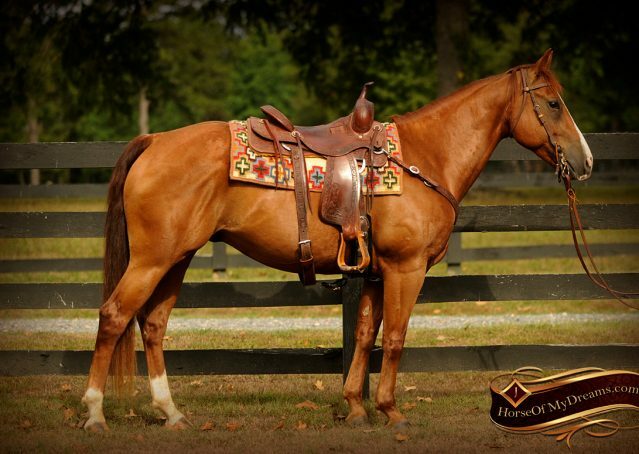 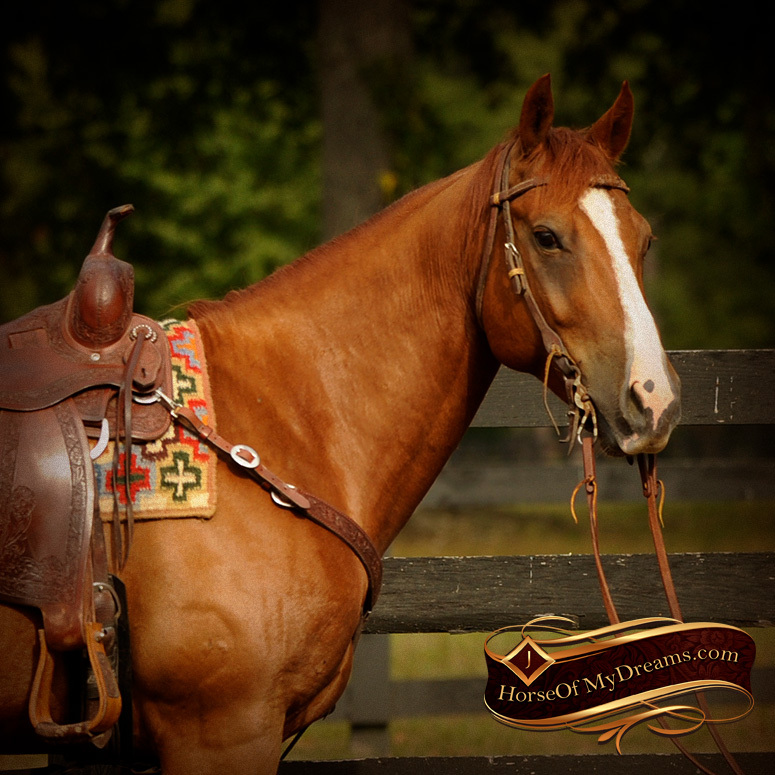 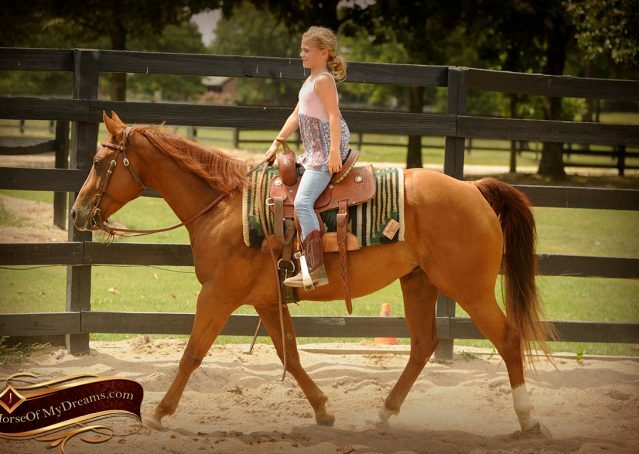 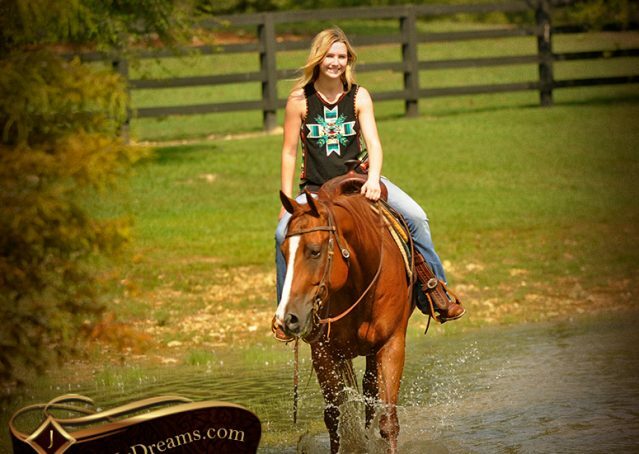 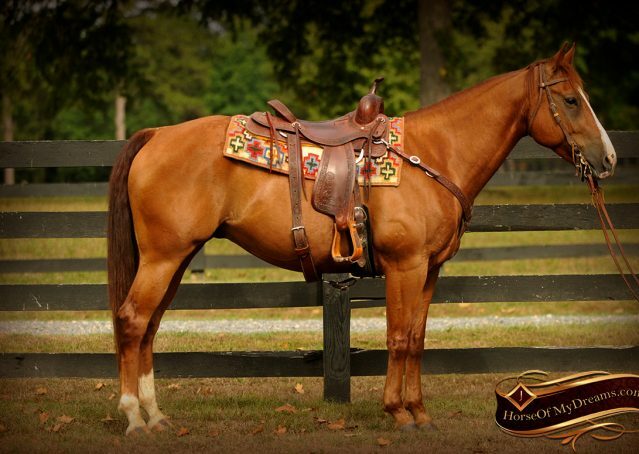 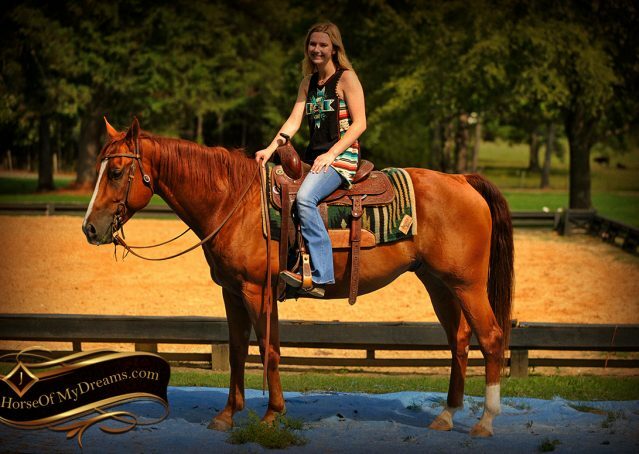 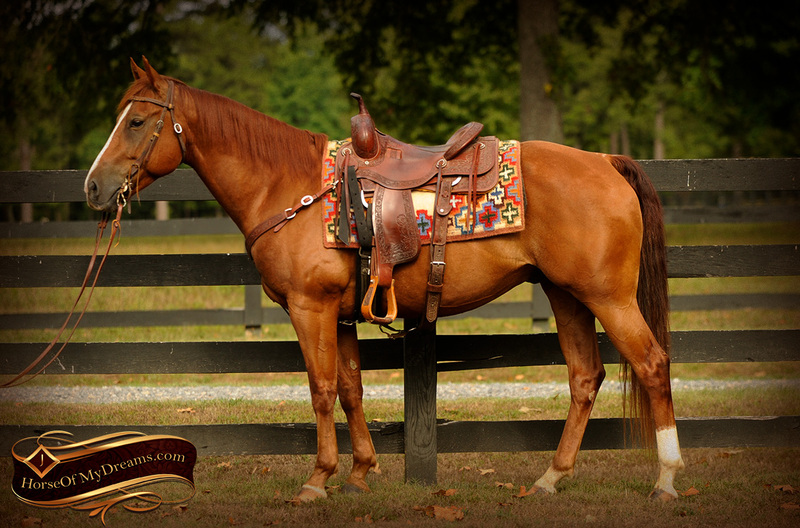 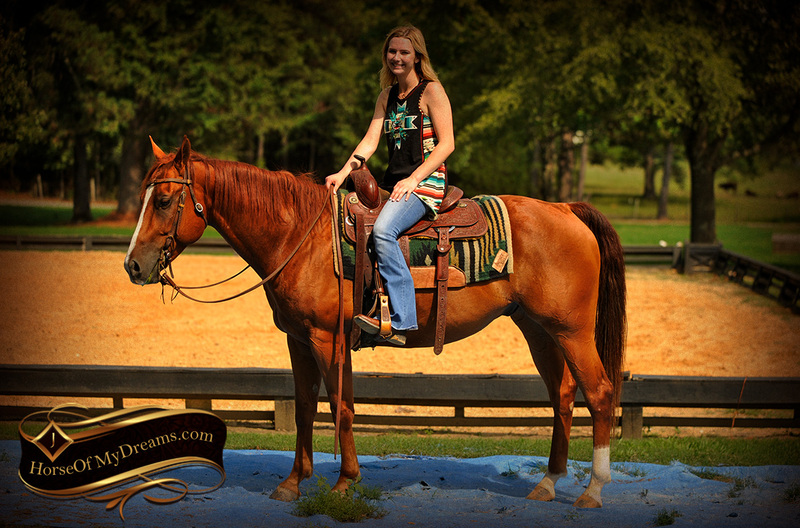 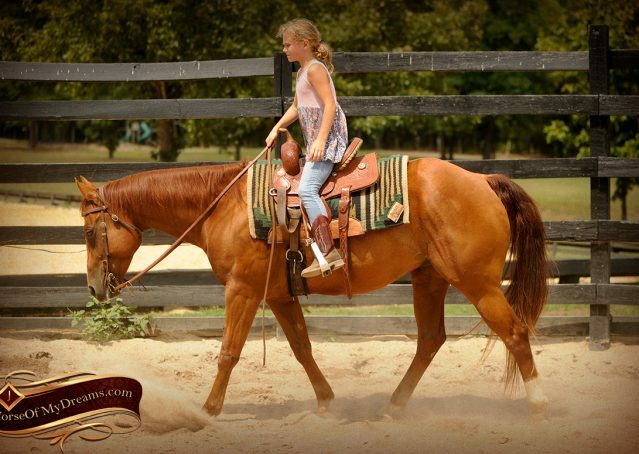 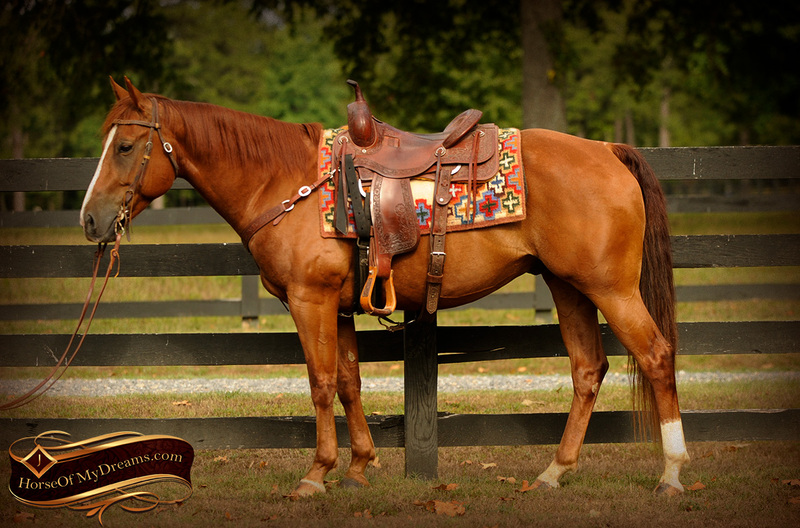 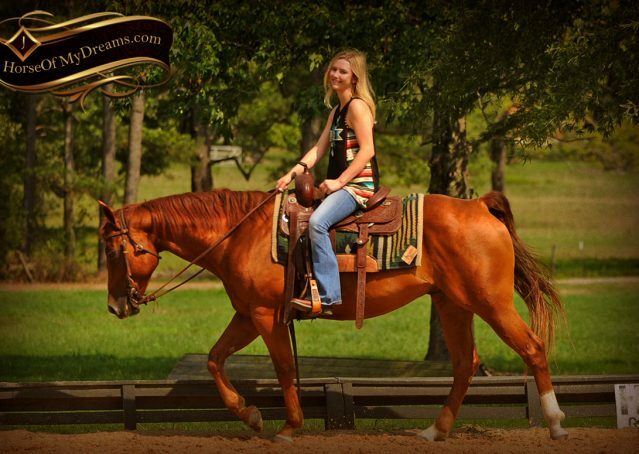 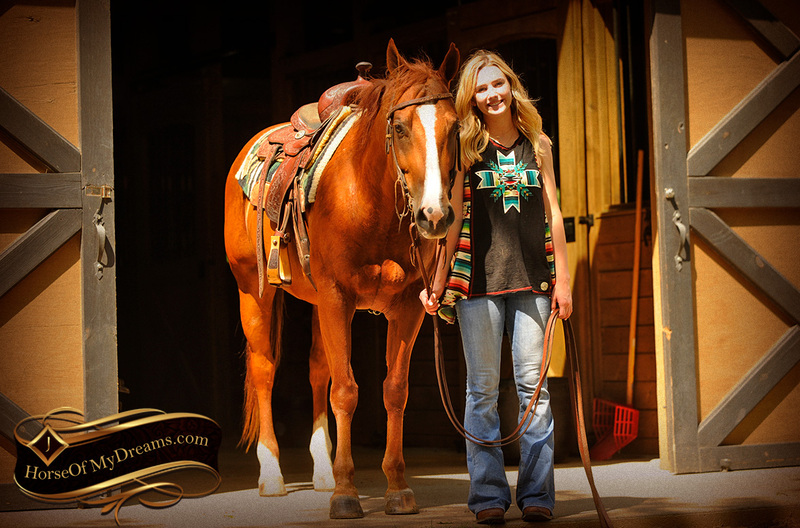 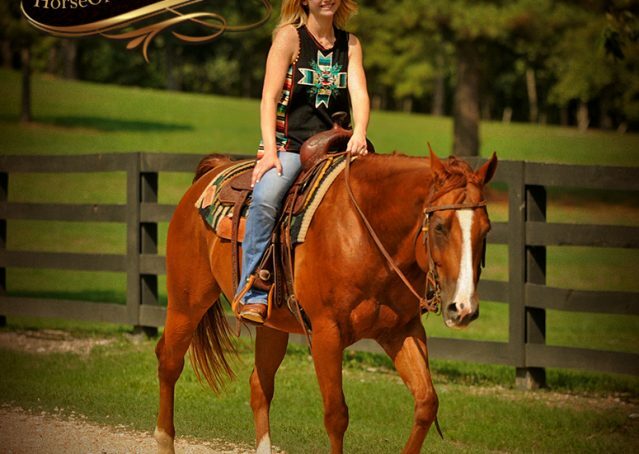 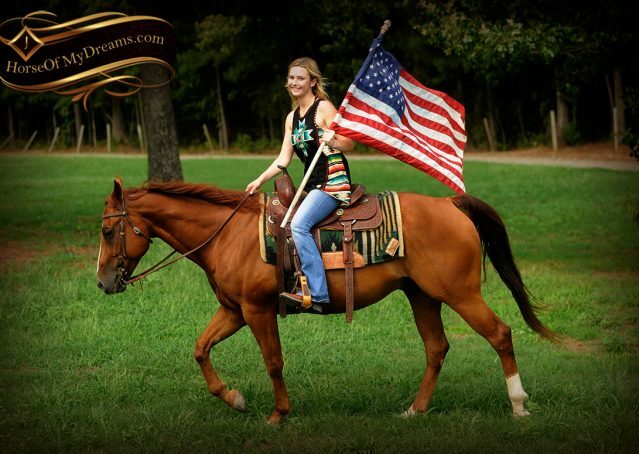 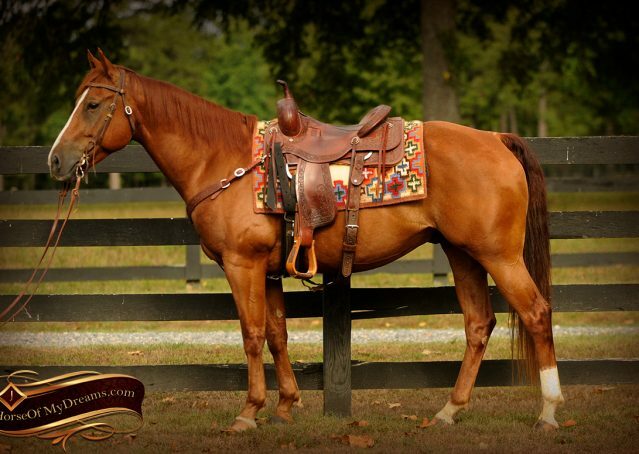 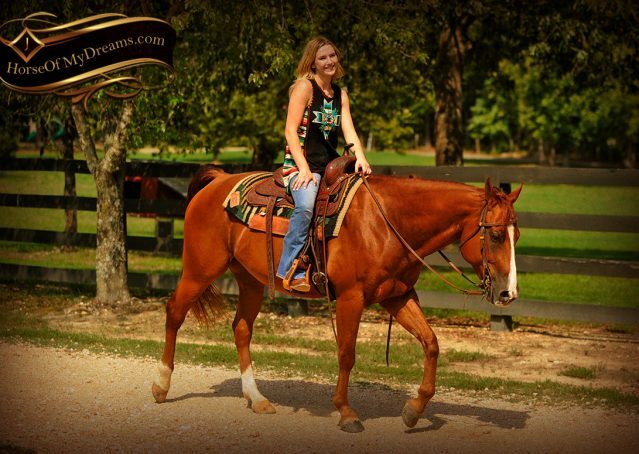 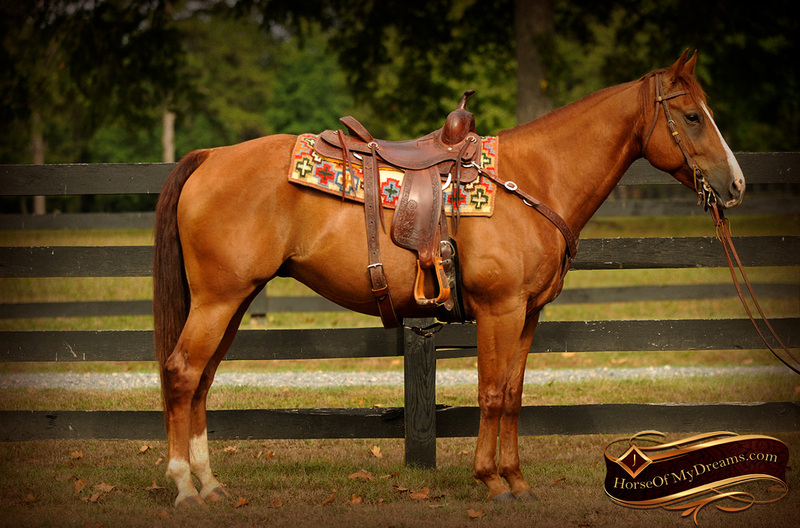 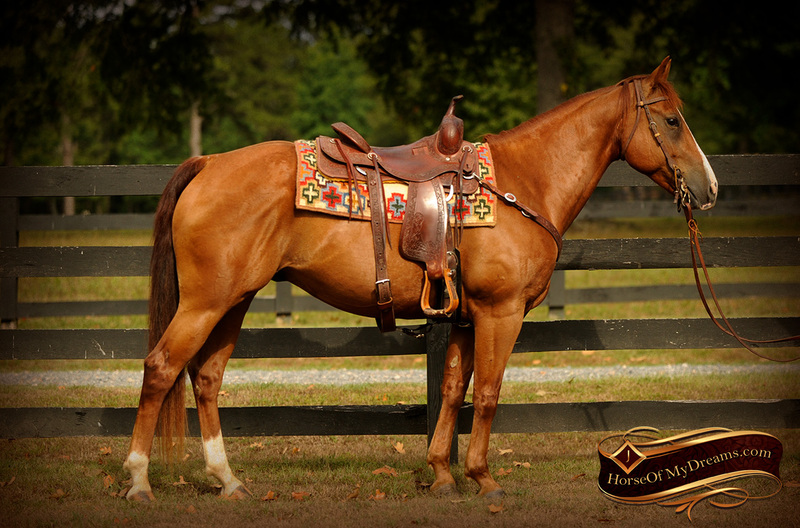 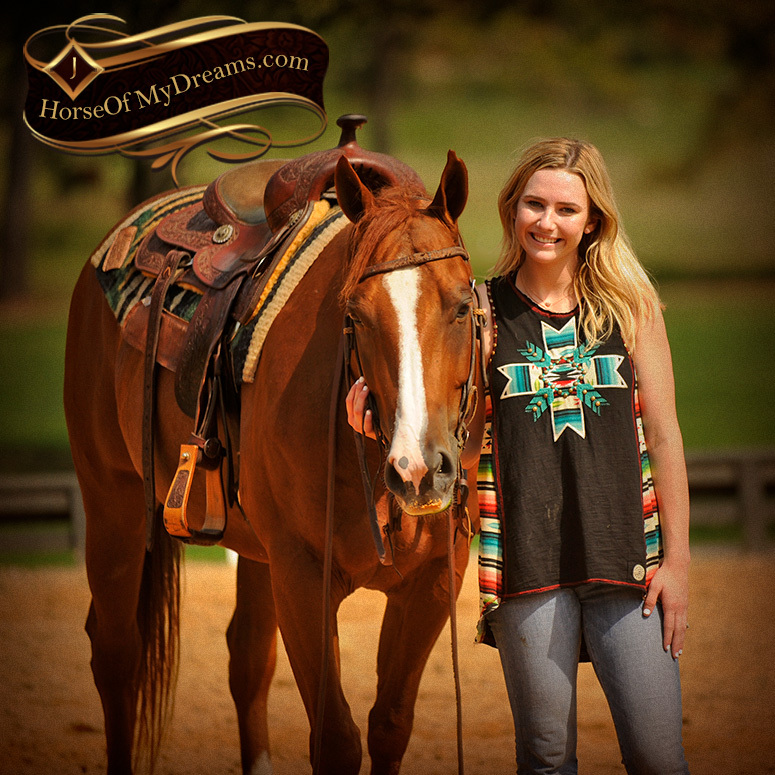 His incredibly vibrant sorrel color and flawless conformation is simply the icing on the cake, because the true beauty of this 10-year-old gelding comes from the piece of mind and sheer enjoyment he brings to his rider. 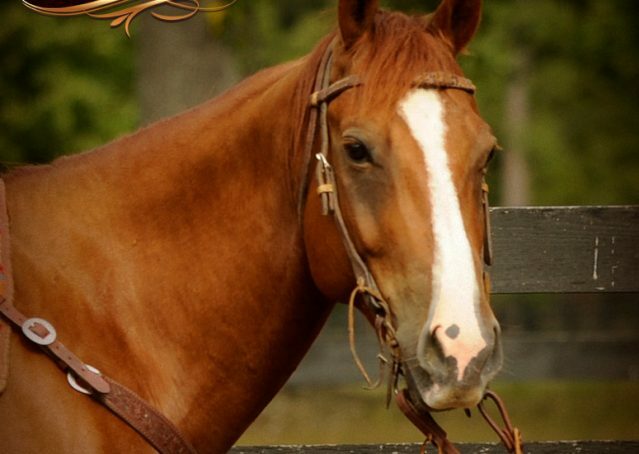 This is a very, very special horse. 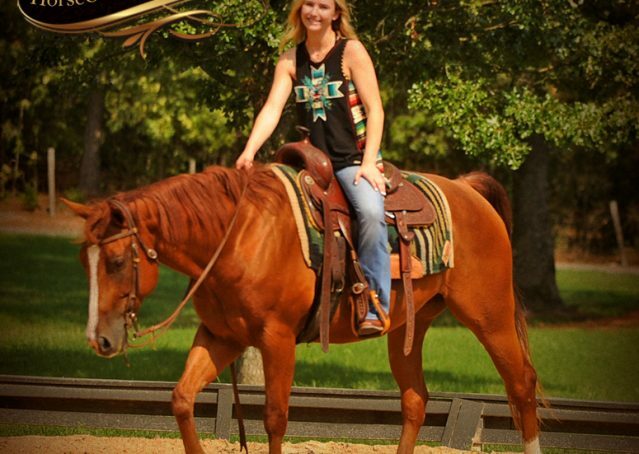 Questions About My Wild Side aka "Cruz"